By far, most Illinois drunk driving lawsuits are filed in Cook County but other counties see a high volume of these cases as well including Madison, Kane, Winnebago, and others. Why Do Most Victims File Dui Lawsuits In Cook County? What's The Difference Between Filing Dui Actions In Different Counties? Still Wondering Where You Should File Your Illinois Dui Case? 41% of all drunk driving cases. 10% of all drunk driving cases. 7% of all drunk driving cases. 6% of all drunk driving cases. 5% of all drunk driving cases. 4% of all drunk driving cases. 2% of all drunk driving cases. Cook County is host to many of the lawsuits involving drunk driving incidents in Illinois. For context though, Cook County is the leading venue for all other kinds of personal injury cases in the state. So why Cook County? The short answer is that's where most of the personnel and facilities are but there's a longer answer as well. Over time, Cook County's legal institutions have evolved more than those in other counties and that breeds a sense of predictability in lawyers. Attorneys feel like they know how judges will rule on certain issues, what courts will allow in various situations, and what verdicts to expect in typical accidents. Therefore, they are comfortable filing and pursuing relief for their clients there. However, in some situations, you might need to file in another county and it will be imperative to learn about the courts in that jurisdiction. 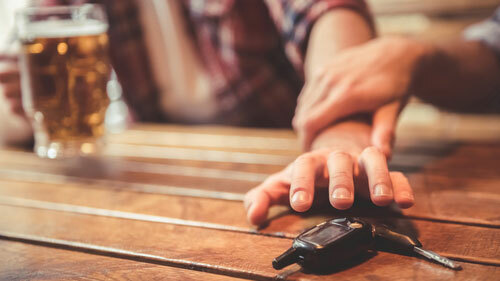 If you choose to seek compensation through the legal system after a drunk driving accident, then one of the first questions you'll have to answer is where you will file. So what's the difference between filing DUI actions in different counties? Well, first of all, different locales have different judges with their own predispositions so that can shade what is and what is not possible for your suit. Some are more liberal or conservative than others and it's important to figure out their various tendencies. Also, and maybe more importantly, each county courthouse will have various rules affecting the substantive and procedural aspects of your case. Learning about each of these is critical because they can determine whether you win or lose. The decision of where you will file your DUI case has a tremendous impact on your future recovery and it should only be made after a thorough study of each potential venue with your attorney. Rosenfeld Injury Lawyers LLC has assisted many victims of drunk driving decide where and how to pursue recovery in court. We can provide you with the same assistance. Also, we can put all of our time and energy to work on your case on contingency which means you don't pay a dime unless you are happy with the outcome. To learn more about the best way to bring your suit, call the Rosenfeld Injury Lawyers LLC today.